Fiorenzato are proud to have been selected to supply and install two Fiorenzato Ducale 2 group espresso machines at the Rockliffe Hall hotel and Golf course. Rockliffe Hall is a new 5-star luxury hotel situated in Darlington and is being hailed as one of the finest resort destinations in the North of England. 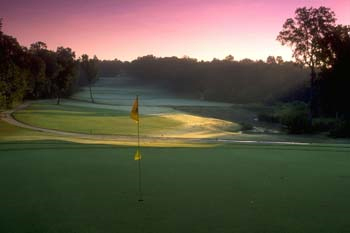 Rockliffe Hall is set in 375 acres of spectacular countryside, on the banks of the River Tees, within a picturesque village of Hurworth, offering a championship golf course and one of the largest spa's in the country. 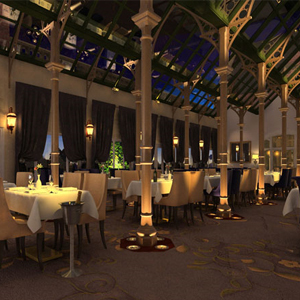 The Fiorenzato Ducale was the machine of choice for the Rockliffe Hall as its style and elegance best suited the environment it would be working in. The coffee it produced was the overall deciding factor and it even managed to convert Managing Director Nick Holmes at the club and a self-confessed non-espresso drinker much to the delight of his espresso loving colleagues. Valentina’s of London have reinforced their relationship with Fiorenzato UK by further investing in two Piazza San Marco espresso machines which are to be used at their new site, located in Putney. 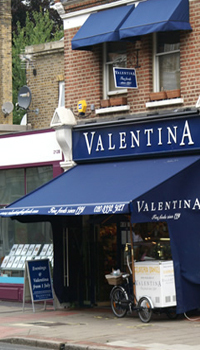 Valentina’s, an authentic Italian delicatessen and restaurant based in South West London has been operating for nearly 20 years. Their management and staff take pride in offering a range of fine foods, wines and catering services which are a testament to its popularity and success. It is a company who believe in quality and understand by investing in the right equipment and using only the finest of produce it will leave customers wanting to return for more. The owners of Valentina’s believed there was only one place to go when purchasing their espresso machines. “The coffee from the Piazza San Marco is as good as the coffee we have back in Italy, it tastes fantastic and our coffee sales have continued to increases as a result. Fiorenzato are proud to present the opening of our new Barista training service which is exclusive to all Fiorenzato clientele. The training will take place in our attractive Barista training facility which provides a relaxed and comfortable learning environment. We believe that training is crucial to any coffee serving business that wishes to provide a great coffee on a consistent basis. The Barista training course will last approximately two hours and it is limited to nine spaces per training session. We prefer to keep the numbers to a minimum so we can spend more time with people individually and make sure they get the very best out of the time spent with our Barista trainer.